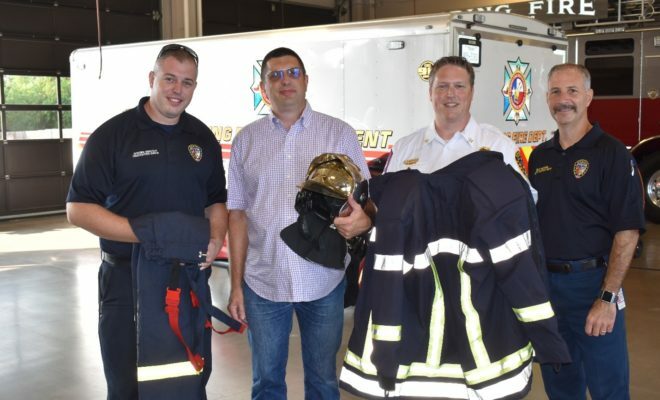 SPRING, TX – The Spring Fire Department now has set of French firefighting gear that is quite different from the bunker gear the firefighters use. 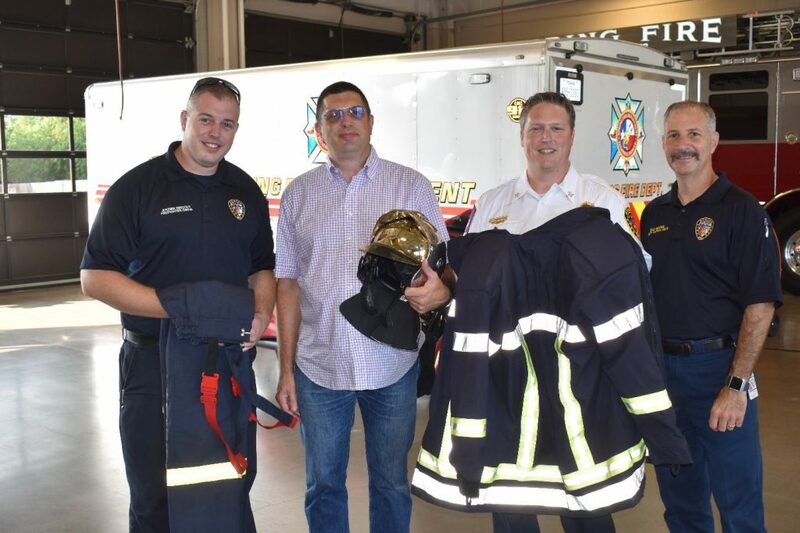 The gear is a gift from the father of Spring firefighter Jeremie Bricout. Both of Jeremie Bricout’s parents served as firefighters in France. His mother, Daikha, was one of France’s first female firefighters and engine drivers. His father, Alain, who recently visited, spent 18 years as a French firefighter. 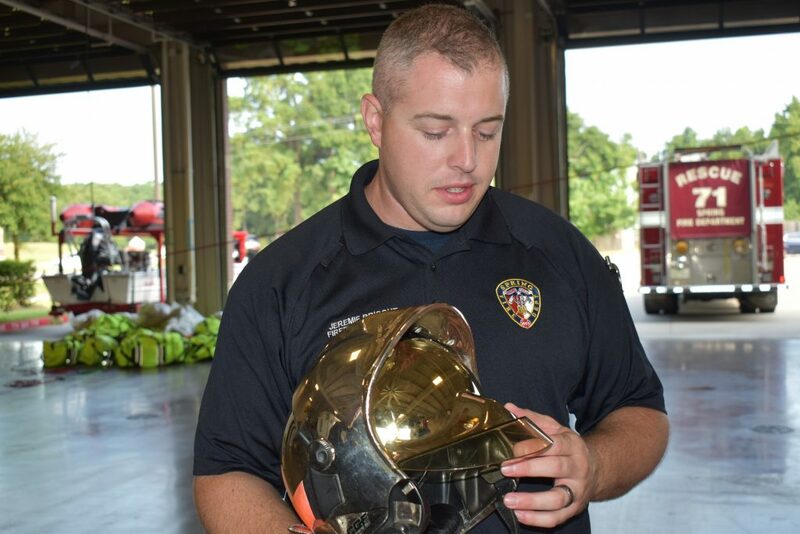 Jeremie Bricout shows the helmet worn by French firefighters. 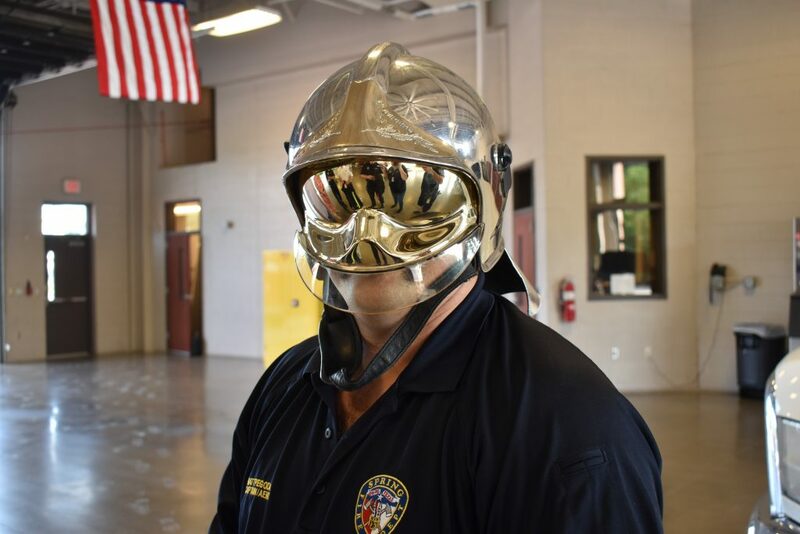 Spring Fire Captain Matt Pegoda wearing a French firefighting helmet. 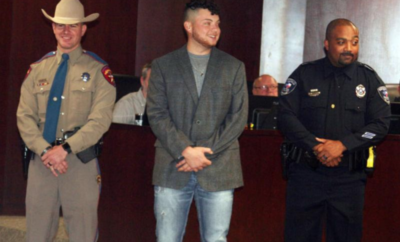 The Spring Fire Department is located in Spring, Texas, approximately 25 miles north of downtown Houston. 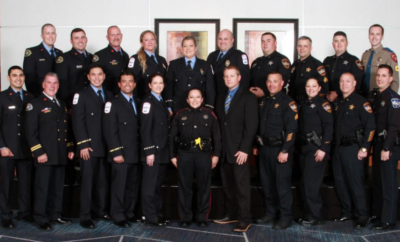 Founded in 1953, the Department is one of the largest combination fire departments in the state of Texas serving 62 square miles of unincorporated Harris County. Operating out of nine stations, with a fleet of 40 apparatus, Spring FD is under the leadership of Fire Chief Scott Seifert. For more information about Spring Fire Department, visit www.springfd.org.